These are two similar eyepieces. 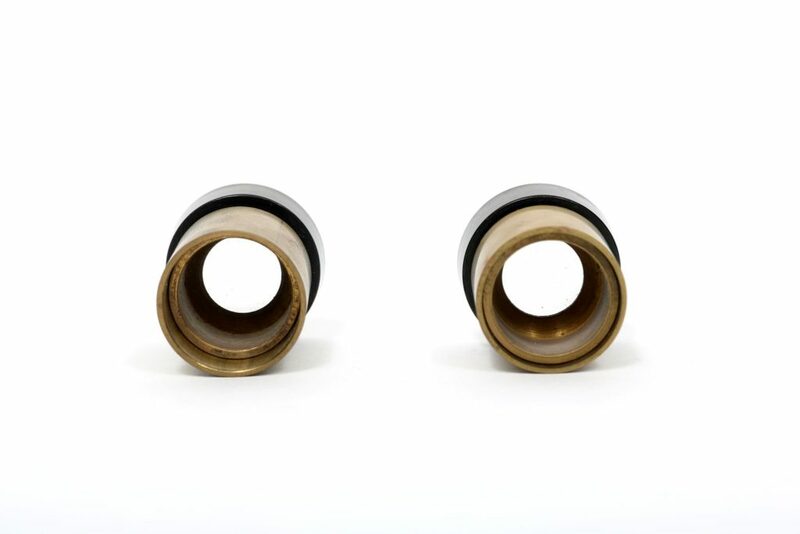 Each consists of a cylindrical brass tube with a lens set in one end, and a fixed black plastic eyecup. 2018.ast.90.1 is longer, 2018.ast.90.1 is shorter. 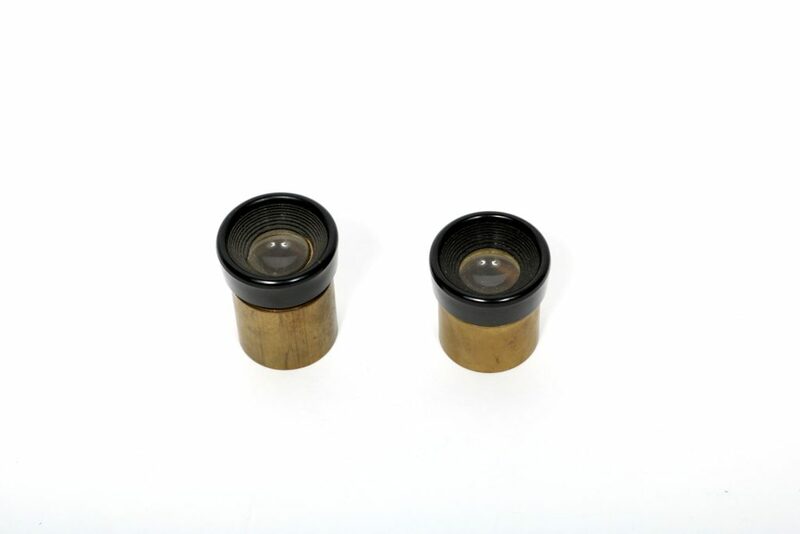 The eyecups can be unscrewed from the lens and brass tube. These are attachments for an optical instrument.